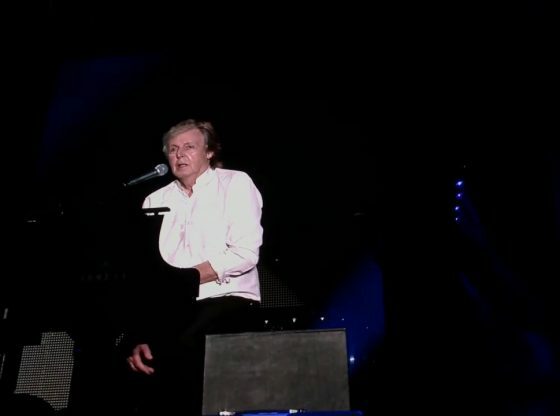 Paul dedicates “My Valentine” for his wife Nancy Shevell. Johnny Depp takes the guitar solo in the on screen video. James Paul McCartney was born on 18 June 1942 in Walton Hospital, Liverpool, England, where his mother, Mary Patricia (née Mohin), had qualified to practise as a nurse.His father, James ("Jim") McCartney, was absent from his son's birth due to his work as a volunteer firefighter during World War II. McCartney has one younger brother named Michael and a stepsister, Ruth.